SHOCK new report published- The immigration we have had so far is only the start! 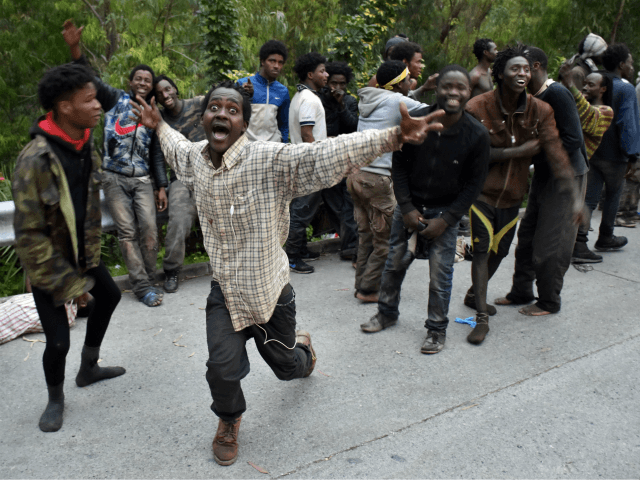 New research from the highly respected Pew institute has indicated that nearly 2/3's of sub-Saharan Africa’s 1.1 billion population want to come to Europe or to the United States with MILLIONS set to come in the next 5 years. Nearly half of people in Kenya, Tanzania, Senegal, and South Africa, and 3/4's of those asked in Ghana and Nigeria, want to emigrate to the U.S. or Europe. Almost one million sub-Saharan Africans have already come to Europe between 2010 and 2017. Nearly 1 million have come and most identified as Asylum Seekers whilst the rest is made up of thosw who claim to be students, resettled refugees, and through coming over to be with existing family members. There are currently at least 50,000 migrants in Morocco and between 400,000 and 1,000,000 in Libya who are waiting to cross the Mediterranean sea with the majority wanting to come to northern European countries such as Germany, France and the UK. Birth rates in Africa are around seven children per woman so by 2050 the total population of Africa will double to around 2.4 billion. The EU ambassador to Niger said starkly: “The demographic development is a ticking time bomb. If this development is not stopped, it could lead to a disaster." Do you agree the UK needs to secure its borders now? !